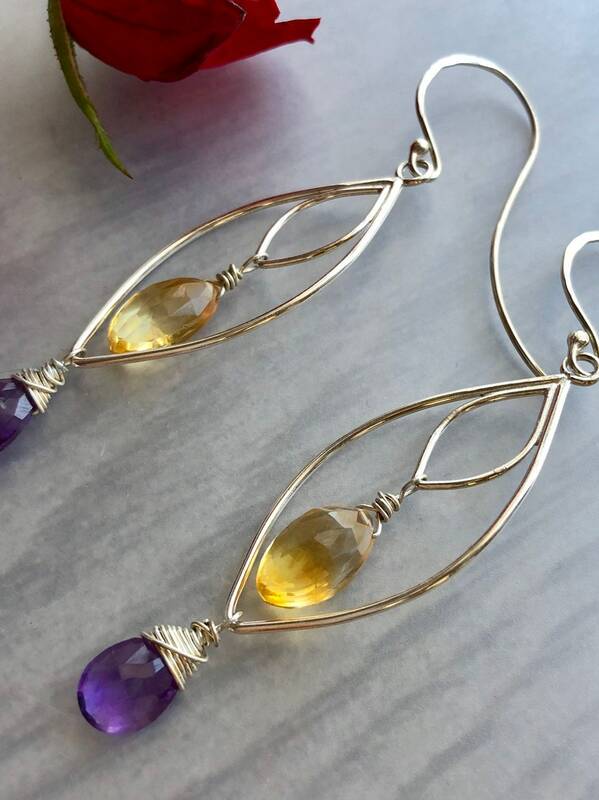 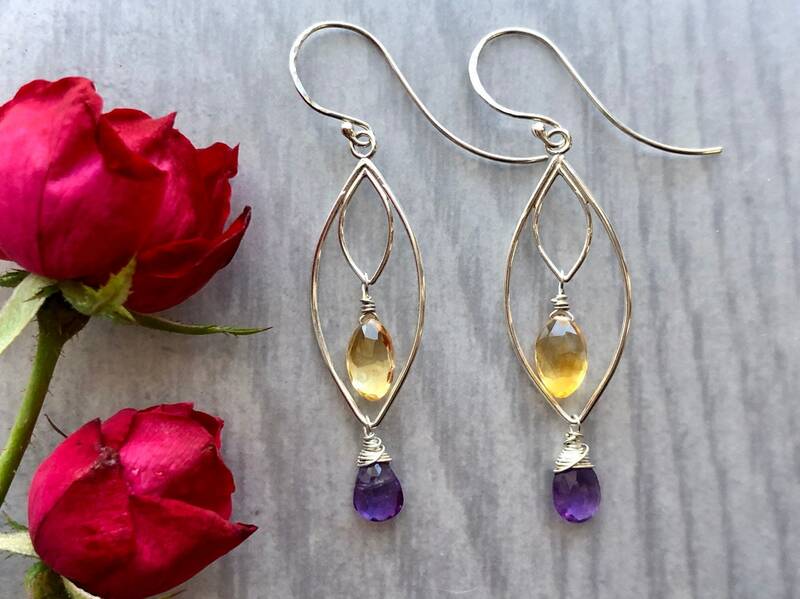 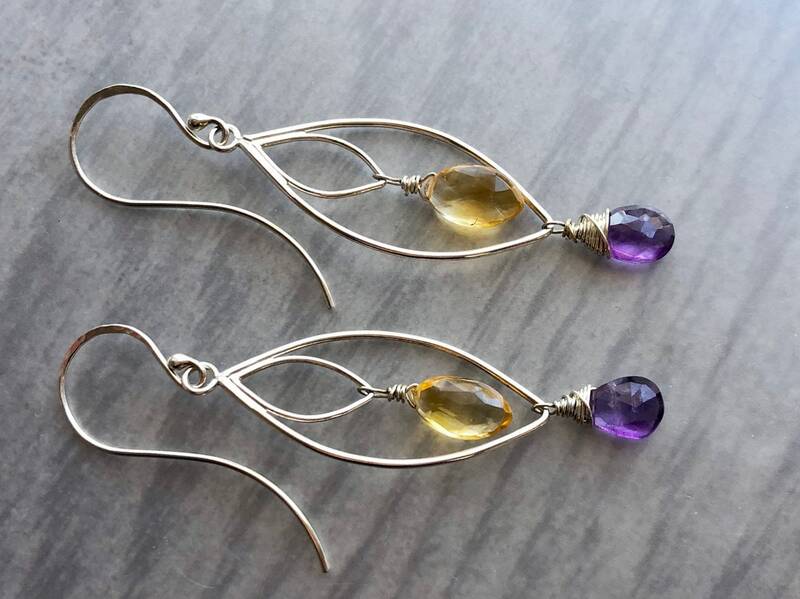 At the ends of nested sterling silver leaves hang faceted drops of amethyst and citrine. 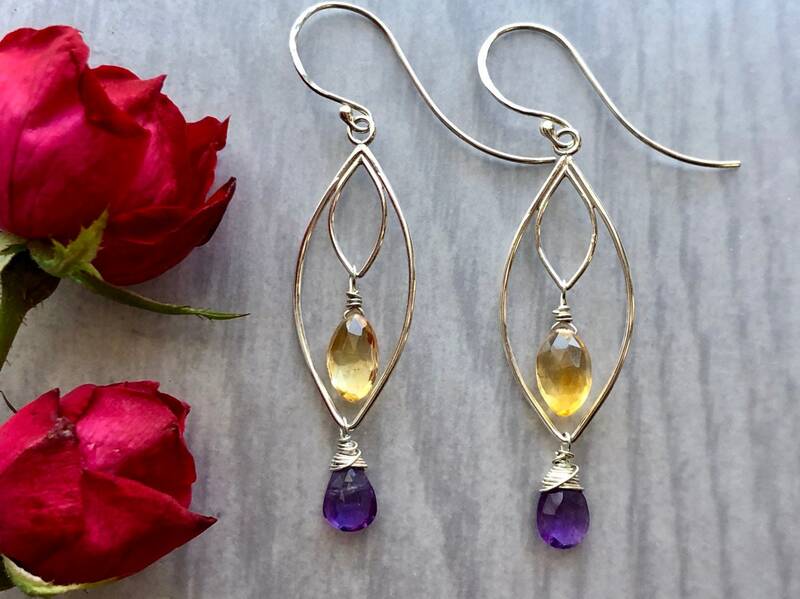 These earrings are entirely handmade using argentium sterling silver. 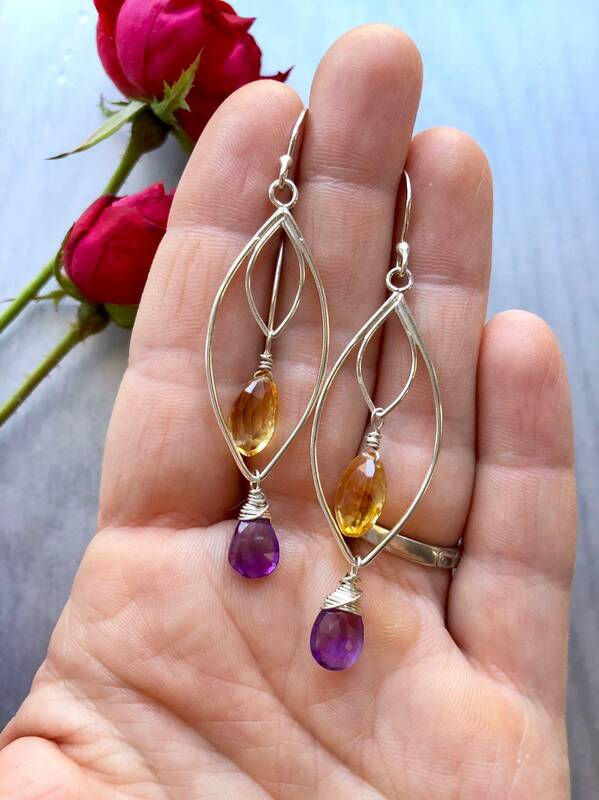 • These earrings are approximately 2 3/4" long by 5/8” wide. 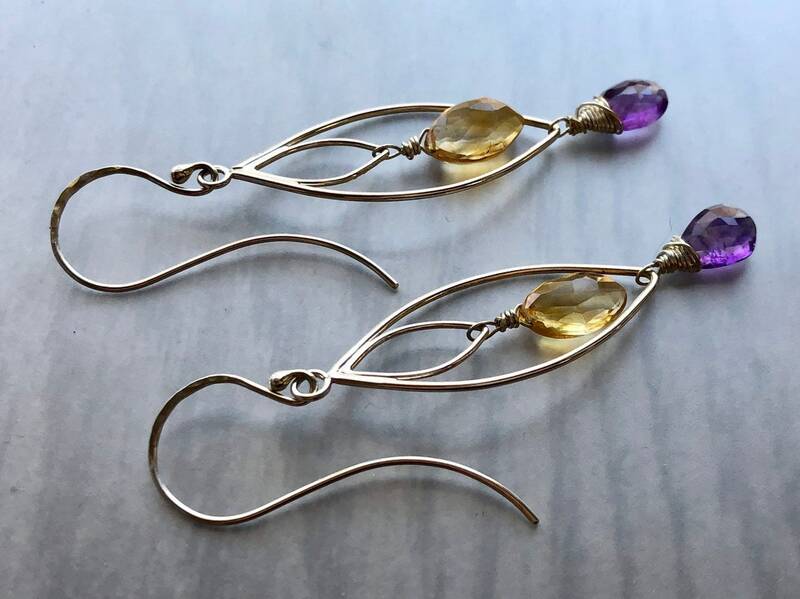 • The signature large ear hooks have been hand-forged from 20g argentium sterling silver. 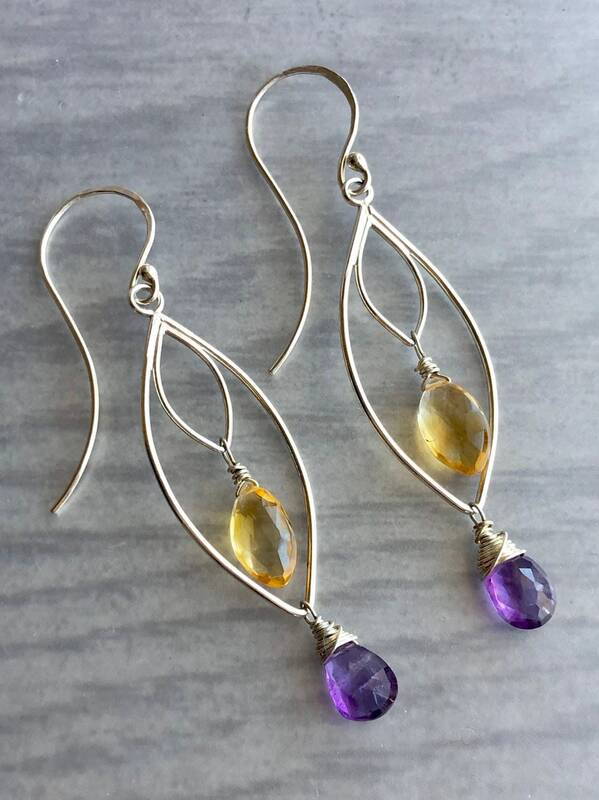 • These earrings have been made with argentium sterling silver, which resists tarnish.